Veduta degli avanzi della circonferenza delle antiche Fabbriche di una delle Piazze della Villa Adriana oggi di chiamata Piazza d'Oro. - Dalla serie "Vedute di Roma disegnate e incise da Giambattista Piranesi Architetto veneziano" (1748 &#150; 1778). Incisione in rame all&#146;acquaforte, b/n, cm 45,6 x 58,8 (alla lastra), firmata "Cav. 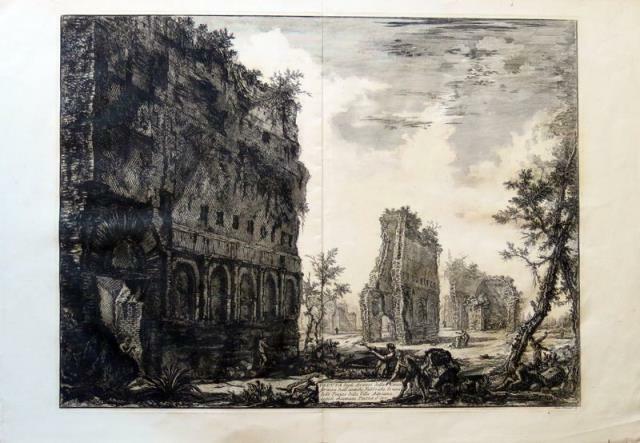 Piranesi F.", in lastra, in basso a destra, in tiratura settecentesca. Un poco di umidità ha lievissimamente ingiallito il foglio in quella zona di cielo in cui manca il chiaroscuro; peraltro a pieni margini e in brillante inchiostratura. Französische Literatur - (Toussaint, François Vincent). Pseudonym Panage. Mis en ordre sur les MÃ©moires de feu M. de Maillet, par J.A. G[uer]. 6 p.l., cxix, , 208 pp. ; 1 p.l., 231,  pp., one leaf of errata. Two vols. in one. 8vo, cont. polished calf (small defect at head of lower joint), triple gilt fillet round sides, spine richly gilt, red morocco lettering piece on spine. Amsterdam: L'HonorÃ© & Fils, 1748. First edition. Maillet (1656-1738), French diplomat, wrote most of this work while serving as general consul at Cairo. "This fundamental work, in essence an ultraneptunian theory of th earth, was based largely on his geological field observations made during extensive travels throughout Egypt and other Mediterranean countriesâ€¦Maillet's ideas unquestionably influenced many leading naturalists for almost a century, notably Buffon and Cuvier. "-D.S.B., IX, pp. 26-(& see the entire article for a detailed account of this book's importance). For another interesting discussion of the importance of this book, see Eiseley's Darwin's Century. Fine fresh copy. ? Ashworth & Bradley, Theories of the Earth 1644-1830 (Linda Hall Library: 1984), 24-"He thought that life arose in primitive forms in shallow seas, gradually becoming more complex as the waters retreated. Moreover, Millet believed that the regression of the sea was a cyclical process, and that the earth, once a sun, would eventually dry out, rekindle, and become a sun again. Maillet's estimate of a time span for this cycle was a heady five billion years.". 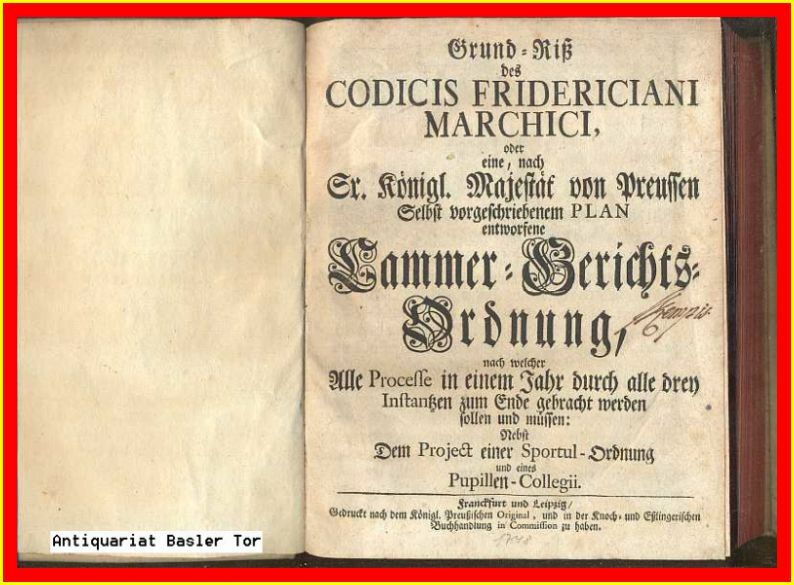 Grund-Riss des CODICIS FRIDERICIANI MARCHICI, oder eine, nach Sr. Königl. Majestät von Preussen Selbst vorgeschriebenem PLAN entworfene Cammer-Gerichts-Ordnung, nach welcher Alle Processe in einem Jahr durch alle drey Instantzen zum Ende gebracht werden sollen und müssen: nebst dem Project einer Sportul-Ordnung und eines Pupillen-Collegii. DESCRIPTION ABREGEE, GEOGRAPHIQUE ET HISTORIQUE DU BRABANT HOLLANDOIS, contenant un détail précis de la distribution de ces Pays, de leur situation, climant, gouvernement, forces, nombre et moeurs des habitans, &c.
Paris, C.J.B. Bauche son et Laurent d'Houry son, 1748. Tiré du hollandois, avec des plans exacts des places fortes. Illustré de 7 gravures pliantes de plans de villes : 's Hertogenbosch, Bergen op Zoom, Breda, Grave, Maastricht, Sluis et "fort du Crevecoeur". Première traduction française de cet ouvrage historique et géographique. Reliure plein veau d'époque; tranches rouges; dos à 5 nerfs, caissons ornés de fleurs et encadrements dorés; titre doré. (2)-x-314-(14) pages. Coins frottés, plats frottés. Manque à la coiffe de tête. Nerfs frottés, étiquette ronde collée sur bas du dos. Plan de Maastricht déchiré mais réparé. Bon état intérieur. De futuro impiorum statu libri tres ubi advers. deistas, nuperos Origenistas, Socinianos, aliosq; novatores Ecclesiae Catholicae doctrina de poenarum inferni veritate qualitate et aeternitate asseritur et illustratur. [Verona]: Typis Seminarii Veronensis Folio (31.7 cm; 12.5"). , XXIV, 405 pp. 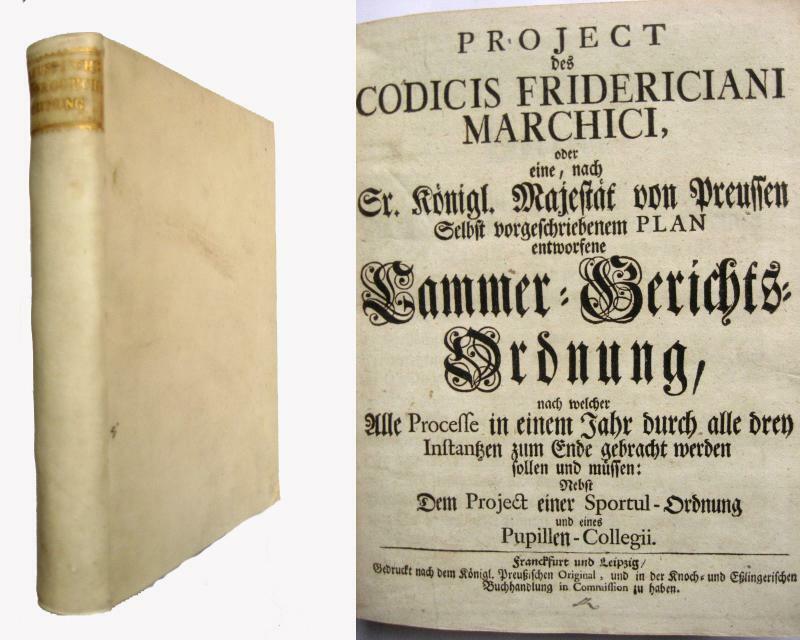 Lacks final blank (only).. 1748 Neatly printed Latin treatise on future punishment for those who do not follow the ways of the Catholic Church, its three books covering why punishment should exist, what merits it, and the punishments themselves. => Alden & Landis also note this text "mentions beliefs on afterlife by people in Americas. "The Americana content is found in the first section of the volume, dedicated to "deists," chapter XI (subsections xxvi&#150;xxxii); the natives discussed include those of Canada (Hurons), Virginia, Florida, Mexico, Peru, Paraguay, the Caribbean, and Brazil. Earlier in the "deists" section there is equally interesting discussion of the afterlife in the religions for various => African nations.The title-page is printed in red and black with an engraved armorial design in the center. Several engraved historiated initials, including a few that show people holding books, and one engraved headpiece of women leading horses on clouds decorate the text.Binding: Uncut text in an 18th-century cartonné binding with an attractive hand-lettered vellum spine label.Provenance: "Ex Libris P. Josephi Sacella" written in the bottom margin of the title-page; Sacella has also inked a few words (mostly obliterated) to the front pastedown and a manicule within the text. Uncut and bound as above, corners bumped and binding rubbed with some loss of paper at front bottom corner, binding dust-soiled and spotted. Volume with final blank (only) lacking and with markings as noted above; half-title with loss of some paper at fore-edge. One leaf detached and two with short to medium marginal tears; central gatherings with a very pale, old, circular stain across gutter reaching type on a few leaves only; and a few leaves creased or with small spots. => A handsome text interestingly cased. Storia del vescovado della Città di Siena, unita alla serie cronologica de' suoi vescovi, ed arcivescovi, estratta da scrittori, e antichi documenti, in parte non più prodotti alla luce, pubblicata [...] dal cavaliere Gio. Antonio Pecci, [...]. 1748. In Lucca, per Salvatore, e Gian-Domenico Marescandoli, 1748, in-4, cartonatura coeva con dorso rivestito in carta decorata, pp. , XLVI, 420. La prima carta bianca. Contiene in fine: Annotazioni alla Storia cronologia de' Vescovi, e arcivescovi della città di Siena, del medesimo cavaliere Gio. Antonio Pecci. Moreni, II, 164 Ex-libris di biblioteca religiosa. Bell'esemplare, a pieni margini. A voyage round the world, in the years MDCCXL, I, II, III, IV . Compiled from papers and other materials of the Right Honourable George Lord Anson, and published under his direction by Richard Walter, M.A. Chaplain of His Majesty's Ship the Centurion, in that expedition. 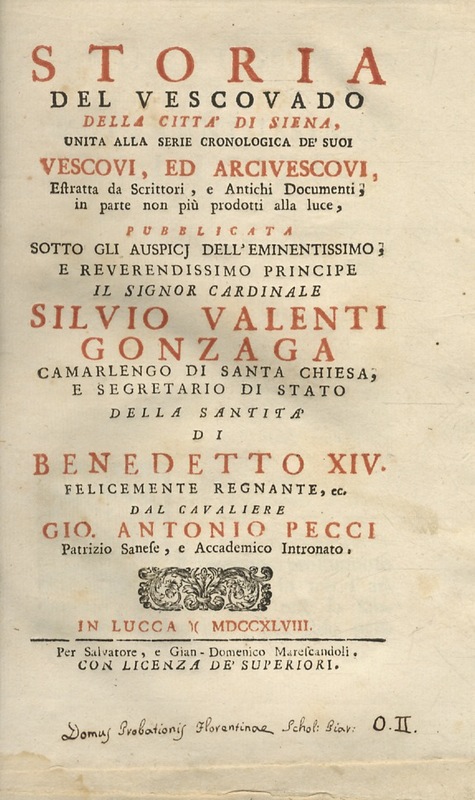 Seu Sermones habiti in Academia A.S. Carolo Borromeo Romae in Palatio Vaticano instituta Praemittitur Opusculum Augustini Valerii inscriptum convivium noctium vaticanarum. Omnia nunc primum e MSS. Codicibus Bibliothecae Ambrosianae eruta Joseph Antonius Saxius praefatione et notis illustravit.Mediolani, MDCCXLVIII. 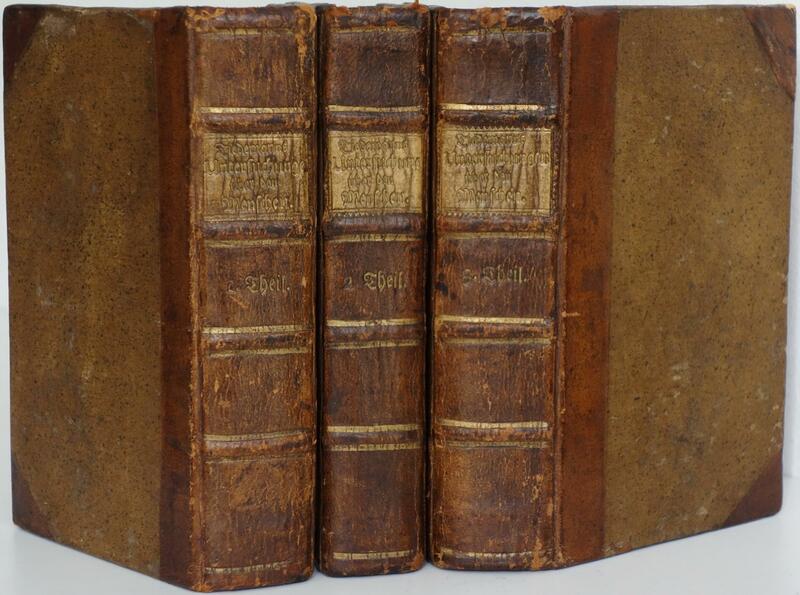 (1748), ex Typographia Bibliothecae Ambrosianae Apud Joseph Marellum (293 pages + index). Ex-libris de la Bibliothèque de Léon Lopez.Imprimé sur beau papier vélin chiffon. Superbement illustré d'un grand frontispice de Joan Baptista Saxius et Jacobus Mercorus, 1 vignettes de titre, 2 vignettes de chapitre, 18 lettrines illustrées, 14 culs-de-lampe. Texte encadré. Reliure demi vélin à coins de l'époque. Dos avec titre et fleuron. Pas de rousseur. Bon état. Format in-folio (44x30). Idea principis Christiano-politici, centum symbolis expressa. Editio omnium licopletissima. Pest, Maria Eva Schilgin für Johann Gerhard Mauss, 1748. 1748. (14), 431, (1) SS. Mit gest. Titelvignette um 103 emblematischen Textkupfern. Lederband der Zeit auf 6 Bünden mit goldgepr. Rückenschildchen und Rückengoldprägung. Dreiseitiger gesprenkelter Rotschnitt. Folio (210:346 mm). Spätere Folioausgabe der berühmten "Idea principis", des wohl einflußreichsten und auch in zahlreichen nicht illustrierten Ausgaben weit verbreiteten Fürstenspiegels: Saavedras politisches Emblembuch, eine Hilfe zur Erziehung der Prinzen, fand überall Eingang, wo spanische Etikette an den Fürstenhöfen bevorzugt wurde. - Früher Druck aus Pest: Der aus Köln zugewanderte J. G. Mauss war der erste professionelle Buchhändler der Stadt; er eröffnete sein Geschäft 1748. Im selben Jahr nahm er bereits seine Verlegertätigkeit auf und veröffentlichte mit der Wiener Druckerin Schilg das vorliegende Werk. - Die schönen Kupfer in kräftigen Abdrucken. Meist sauber und frisch; ab der Mitte in der oberen Ecke etwas wasserrandig. Einband gering berieben; Kapitale unter Verwendung alten Materials fachmännisch restauriert. Praz² 528. Praz 484. Petrik III, 263. Vgl. Palau 283.448 (span. EA). [ Prospect af Kongens Torv ]. Kobberstik. 16 x 24 cm. Kobberstikket er ikke koloreret. I nyere, håndforsølvet Carl Petersen ramme med passepartout fra Brock Rammehåndværk. Rammen måler 29,5 x 37 cm. Fornemt eksemplar. - Prospekt af Kongens Nytorv set fra Hovedvagtsgade. Yderst til venstre Thotts Palæ og Nyhavn. Midt i billedet Charlottenborg og yderst til højre Giethuset, hvor man støbte kanoner til hær og flåde samt kirkeklokker. Forrest i billedet Krindsen med rytterstatuen i midten, 1748. Fra Thurahs "Hafnia Hodierna", 1748. Laurids de Thurah (1706-59). Arkitekt og Hofbygmester, Arkitekturhistorisk og Topografisk Forfatter. Thurahs hovedværk er "Den Danske Vitruvius" som "Indeholder Grundtegninger, Opstalter og Giennemsnitter af de merkværdigste Bygninger i Kongeriget Dannemark, samt de Kongelige Tydske Provintzer, tilligemed en kort Beskrivelse over hver Bygning i sær." Værket udkom i to bind med tekst på dansk, tysk og fransk i 1746-49. Første bind omhandler udvalgte københavnske bygningsværker, andet bind især slottene ude i landet.I 1748 udkom "Hafnia Hodierna, Eller Udførlig Beskrivelse om den Kongelige Residentz- og Hoved-Stad Kiøbenhavn." Bogen er den første store samlede beskrivelse af byen, og de mere end 100 kobberstukne tavler viser pladser og torve samt mange enkelte bygninger.I 1756 udkom et værk om Bornholm og Christiansøe - vor ældste beskrivelse af disse områder - illustreret med kobberstukne tavler. Endelig udkom i 1758 en bog om Samsø og en bog om Amager med Saltholm. 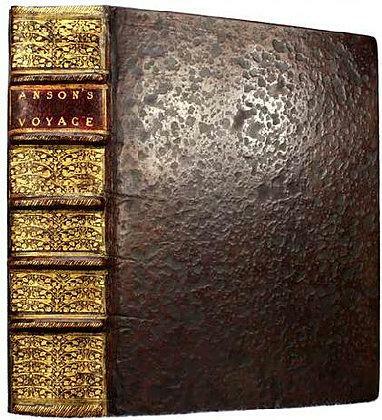 Voyage Round The World in The Years MDCCXL, I, II, III, IV by George Anson Esq; Commander In Chief of a Squadron of His Majesty¿s Ships, Sent Upon an Expedition to The South-Seas. Madam Luttrell's Book of most Excellent Rec[eip]ts, 1748. A family household and receipt book, with earliest entries dated 1748, later additions in other hands, sometimes utilising blank versos of earlier pages, or unused pages. The latest entry is dated 1878. 48ff, with 56ff blank at end. 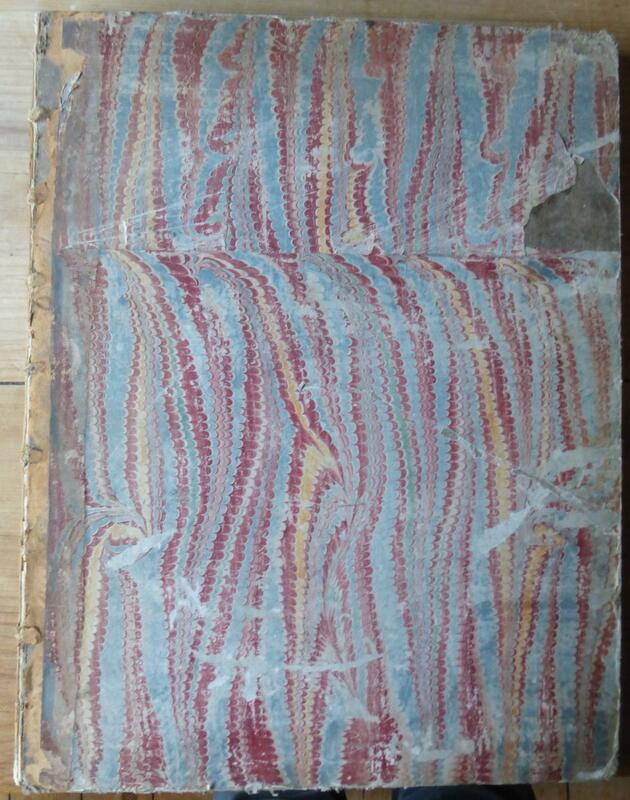 Contemporary vellum, hand titled on upper cover; some foxing to prelims & rear endpapers, otherwise in good clean condition. Several printed remedies are tipped or pinned in.The book includes both cookery and household receipts, which in many cases are identified with a name. It was no doubt passed down through a number of generations, with new material added up to the latter half of the 19th century. 26 pages are written in an 18th century hand. Examples include, To make white currant wine, Mrs Southey; Pints of Clarett; Davenport Hens; for Fits in Children, Dr Hillyard; Mrs Leighs's sauce for boiled fowls; to make poppy brandy; Mr Bradley's raisin wine. A number of the receipts are from Dr & Mrs Dyke. There is also a cure 'for ye bite of a mad dog, by Sr. Geo. Cobb'. The Wellcome Collection has a version of this same remedy, c.1764, and notes 'This was one of several famous remedies in the 18th century made popular by the press and personal recommendation, profitting from public hysteria and deep-seated fear of this particularly disturbing - and fatal - condition'. One passage, written in a mid-19th century hand, is headed, 'The manner Mrs Luttrell's children when first born were treated ... Mrs Townes always followed this method with her children, & would much recommend to Mrs Luttrell not to let much sugar be given in anything for it only turns acid on the child's stomach'. A Madam Luttrell is recorded as the owner of the manor of Withycombe Hadley, Devon in the 18th century. Her family were a branch of the Luttrell's of Dunster Castle, Somerset, but there is no conclusive evidence as to the exact provenance of this manuscript. Storia del vescovado della Città di Siena, unita alla serie cronologica de' suoi vescovi, ed arcivescovi, estratta da scrittori, e antichi documenti, in parte non più prodotti alla luce, pubblicata [.] dal cavaliere Gio. Antonio Pecci, [.]. LONDON, TONSON, 1748. 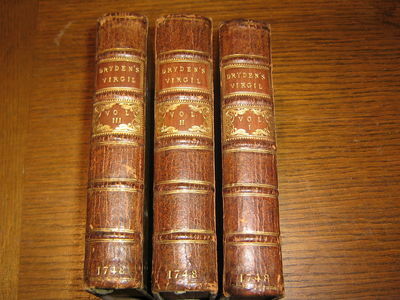 THE SEVENTH EDITION IN THREE VOLUMES, SMALL OCTAVO. FULL CONTEMPORARY LEATHER, RAISED BANDS, GILT TITLES. FRONTIS. TO EACH VOLUME PLUS MANY OTHER PLATES. A REMARKABLY CLEAN AND FRESH SET, TIGHTLY BOUND. BOOKPLATE OF FATTORINI. [LABELONIE, François-Etienne, dit FALCONNET de la BELLONIE]. La Psycantropie ou Nouvelle théorie de l'Homme. Tome premier: Spectacle des Esprits. Tome second: Spectacle des Caractères. Tome troisième: Spectacle des Vertus. TRAITE DES OPERATIONS DE CHIRURGIE, FONDE SUR LA MECHANIQUE DES ORGANES DE L'HOMME ET SUR LA THEORIE ET LA PRATIQUE LA PLUS AUTORISEE / TROISIEME TOME / TROISIEME EDITION. 1748. CAVELIER. 1748. In-12.Carré. Relié plein cuir. Etat d'usage. Couv. défraîchie. Coiffe en pied abîmée. Intérieur acceptable. 472 pages illustrées de nombreuses gravures hors texte - 1er plat très frotté - Dos a 5 nerfs et fané. APOLOGIA accademica e forense per l'abate Giovanni Tosi in una causa di Aucupio di Pettirossi a Civetta. Firenze, nella stamperia di G.B. Stecchi, 1748, pp. LXXVI, con front. stampato in rosso e nero, con grande vignetta calcografica di argomento venatorio, testata ed iniziale incise in rame sulla seconda carta. [Legato con:] Pruove de' fatti proposti nell'apologia accademica e forense scritta e pubblicata per lo signor abate Giovanni Tosi e riprovazioni degli esposti nel manifesto stampato pel feudatario di Capraja. In Pisa, nella Stamperia di Gio. Domenico Carotti, 1750, pp. 83, , frontspizio in rosso e nero con vignetta incisa in rame. 1748. Due titoli legati in un volume, in-folio, cartonatura rustica coeva (dorso rifatto). Nota manoscritta coeva sulla prima carta bianca: "Tanto la prima che la seconda [...] sono opera del sig Avv.to Giacinto Tosi lettore [...] nel seminario fiorentino, e del signore D. Giuliano Tosi [...]". Bell'esemplare. Ceresoli pag. 526. Recueil de l'ensemble des triduanes, imprimées en 1748 et en 1749, présentées par les sept concurrents pour la dispute de la chaire de Gerard Fitz-Gerald, devenue vacante à la suite de son décès le 10 janvier 1748. Cette chaire était l'une des quatre chaires généralistes créées en 1498 : elles portaient le nom de Régences. Ces triduanes étaient imprimées et intitulées : "Quaestiones medicae duodecim . Pro regia cathedra vacante." 1748 1 plein veau de l'époque, dos à nerfs orné (lég. endom en queue), épidermure sur le plat sup.. -Tache brune dans la marge ext. du 1er feuillet, sans atteinte du texte. in-4 à pagination multiple ; Monspelii, Joannem Martel, 1748-1749 ; Augustinum Franciscum Rochard, 1749, Ce recueil est exceptionnel, les exemplaires complets de l'ensemble des triduanes d'un même concours sont rarissimes. "L'épreuve la plus décisive dans la dispute d'une chaire, est celle des triduanes. On donne ce nom à douze thèses qui doivent être soutenues dans l'espace de trois jours consécutifs, deux le matin et deux le soir. Pour composer et faire imprimer ces thèses, dont les sujets ont été assignés par les professeurs, juges de la dispute, on n'a que douze jours ; à peine sorties de la presse, on les distribue, et après un intervalle de quatre jours, on les soutient. La publicité qu'on leur donne par l'impression exige sans doute qu'elles soient travaillées avec beaucoup de soin ; mais fussent-elles un peu négligées, la brièveté du temps pourrait servir d'excuse." (Desgenettes, Éloges des académiciens de Montpellier, p. 290).Ce concours fut remporté par Charles Serane, qui fut titulaire de cette chaire jusqu'à sa mort (13 septembre 1756). (cf. Dulieu, La médecine à Montpellier).La page de titre des triduanes de Serane est reproduite par Dulieu t. III, 1ère partie, p. 40, celle de Gourraigne p. 88.Détail du recueil :1) GOURRAIGNE (Hugues). Monspelii, Joannem Martel, 1748, (4)-26 pp.. Conlon 48 : 516.2) SERANE (Charles). Monspelii, Joannem Martel, 1749, (2)-32 pp.. Conlon 49 : 848.3) FITZ-MAURICE (Thomas). 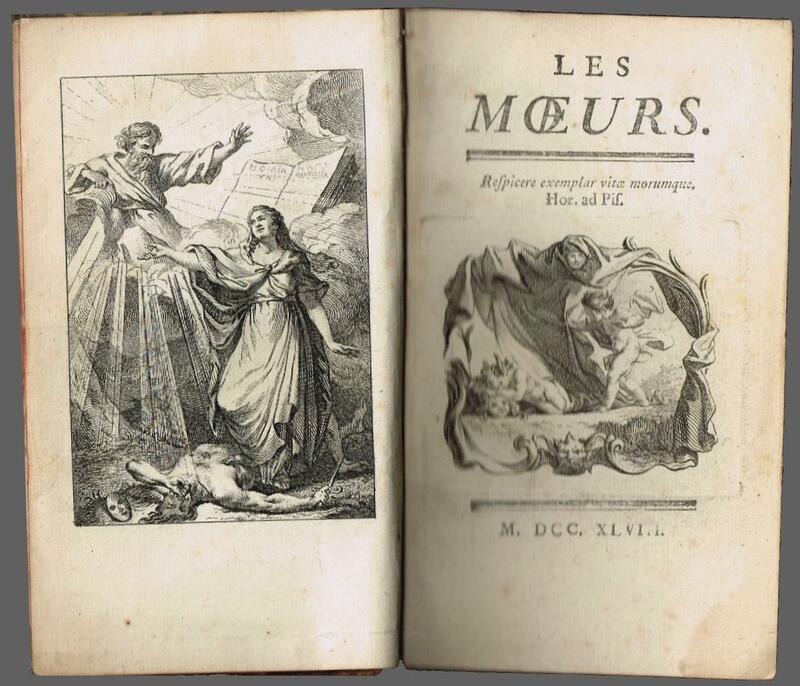 Monspelii, Joannem Martel, 1749, 29 pp.. Conlon 49 : 528.4) PETIOT (Honorat). Monspelii, Augustinum Franciscum Rochard, 1749, 36 pp.. Conlon 49 : 777.5) FARJON (Jacques). Monspelii, Augustinum Franciscum Rochard, 1749, 29 pp. + 1 papillon d'errata collé sur un feuillet blanc. Conlon 49 : 520.6) LAMURE (François). Monspelii, Augustinum Franciscum Rochard, 1749, 52 pp.. Conlon 49 : 629.7) IMBERT (François). Monspelii, Augustinum Franciscum Rochard, 1749, 42 pp. + 1 f. d'errata. Conlon 49 : 592. 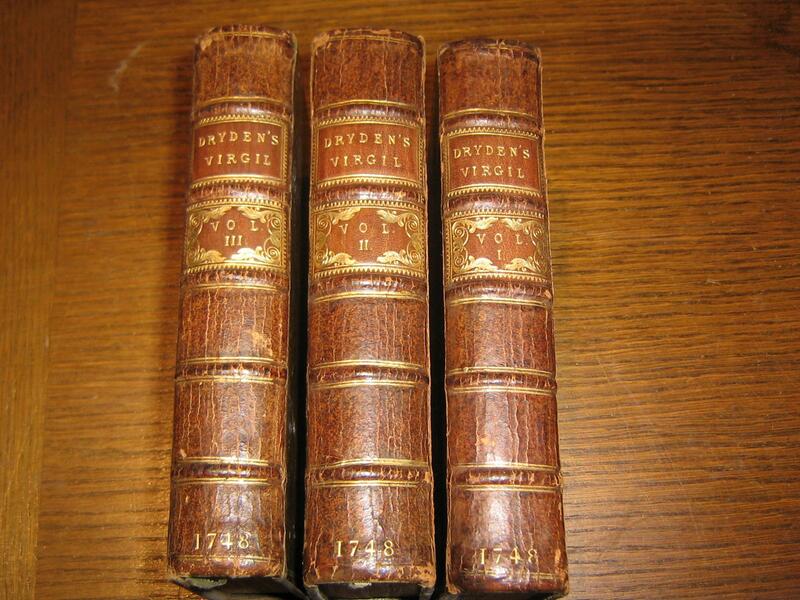 En 3 volumes. La Haye, Frédéric-Henri Scheurleer, 1748. Vol 1 : contenant la conquête des Pays-Bas Autrichiens, et la prise de Bruxelles en 1746, avec plan de la bataille de Fontenoy. Vol 2 : ouvrage enrichi de plans et d'ordres de bataille. Vol 3 : avec les plans de la bataille de Lawfeld et de l'attaque de Bergen-op-Zoom.Vignettes sur les pages de titre. 12 planches dépliantes. Reliure plein veau blond d'époque; encadrement doré sur les plats; dos à 5 nerfs; fleurons, titre et ornementation dorés. 262, 175 et 225 pages.Tranches mouchetées rouge. Format 10 x 15 cm. Très rare pour les 3 volumes complets.Mors légèrement fendillés; légère déchirure carte vol 1 et tableau volume 3 sans perte. Petites rousseurs en marge. Beaux exemplaires. Nancy, Chez Leseure, imprimeur ordinaire du Roi, 1748. Ouvrage comprenant un frontispice (plan dépliant de Plombières en 1709) et de 9 planches dépliantes (plan et coupe des bains des Dames, Fontaine du Chêne, plan de Valon en 1747, etc). Reliure plein veau d'époque. Dos à 5 nerfs, fleurons et titre dorés. 333+(12) pages. Format 12,5 x 20 cm. TRES RARE. Complet. Petites déchirures ds frontispice, recollées, sans perte. Petit manque coiffe de queue. Un coin croqué. Planches en bon état. Edition unique connue de ce traité sur les stations thermales en France. Gedancken von Thränen und Weinen. 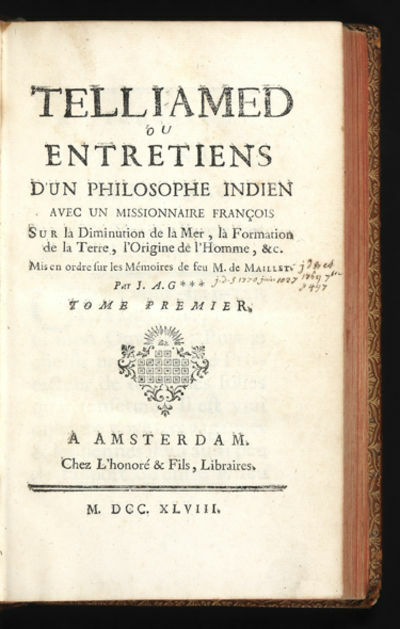 Amsterdam: chez L'HonorÃ© & Fils,, 1748. ou entretiens d'un philosophe indien avec un missionaire franÃ§ois sur la diminution de la mer, la formation de la terre, l'origine de l'homme, &c. Mis en ordre sur les mÃ©moires de feu M. de Maillet par J. A. G[uers]. 2 volumes bound in one, octavo (195 x 120 mm). 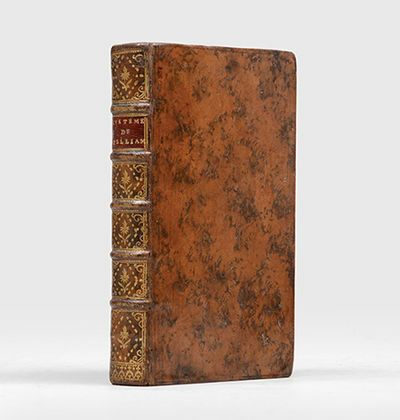 Contemporary mottled calf, red morocco label, raised bands, spine elaborately gilt in compartments with central floral tools, woodcut device on each title. Late 19th- or early 20th-century ownership stamp to bottom margin of title page of Volume 1. Two or three small worm holes to joints. Occasional light spotting or toning; an excellent copy. First edition of the author's fundamental work, dedicated to "l'illustre Cyrano de Bergerac", in which he expounds his unbiblical theories on the formation of the earth. "Great fame was achieved by de Maillet in Telliamed [published in] 1748, 1749, 1755 (translated into English and published in London in 1750 and in Baltimore in 1797). He introduced the concept of slow changes over a great period of time and that of a diminishing universal ocean as well as the evolution of marine life into terrestrial life. Everybody read Telliamed which had circulated before in manuscript form among the forbidden literature in France" (Dederick Ward and Albert Carozzi, Geology Emerging, Introduction). BenoÃ®t de Maillet (1656?1738), a well-travelled diplomat, based his ultraneptunian theory on observations made in Europe, the Middle East and the Mediterranean region. "Maillet must have taken full advantage of his fluency in Arabic to gain access to the manuscripts of many ancient Arabic authors, such as al-Khayyami, from whom he may have borrowed the original idea of the diminution of the sea. For the publication of his system Maillet relied on the AbbÃ© J. B. Le Mascrier, who had previously edited the Description de l'Ã‰gypte. Only ten years after Maillet's death did Le Mascrier reluctantly agree to the publication of the first edition (Amsterdam, 1748), which was followed by a second and third. Two English translations were also published. This unusual delay in publication resulted from the failure of Le Mascrier's editorial work to reduce the dangerous nature of the system; actually, he was willing to be acknowledged only as editor of the third edition. Indeed, even when presented under the name of a fictitious Indian philosopher (his own name spelled backward), Maillet's concepts were unorthodox and highly materialistic. The proposed system did not admit God as an omnificent ruler, postulating instead an eternal universe undergoing natural changes at random" (Carozzi in DSB). A beautiful copy of this important pre-Darwinian work on evolution. PICO DELLA MIRANDOLA (Francesco Maria) ]. Il Vello d'Oro conquistato. Componimento Drammatico da rappresentarsi nel Regio Teatro del Buon-Ritiro festeggiandosi il felice giorno natalizio di sua Maestà Cattolica Ferdinando VI. Per comando di sua Mestà Cattolica la Regina Nostra Signora D. Maria Babara l'anno MDCCXLVIII. El Vellon de Oro Conquistado. Composicion dramatica para representarse en el Real Coliseo del Buen-Retiro festejandose el feliz dia natalicio de su Magestad Catholica el Rey nuestro Señor d. Fernando VI por orden de su Magestad Catholica la Reyna nuestra Señora Da. Maria Barbara. El año de MDCCXLVIII. - S.n., A Berlin 1748, In 12 (9x16cm), relié. - Prima edizione, rara, pubblicato in Avignone allo stesso tempo. Un piatto di piegatura. Vitello marrone pieno marmorizzato periodo lucido. Torna a nervi decorato 4 stelle angolare e un fleruon ogni casella. Parte del titolo in marocchino rosso. Nizza copia. Esteve non era uno scienziato, ma un giovane di talento e di talento, è tornato qui a discutere tutto il suo tempo teorie astronomiche: la teoria dei vortici, che egli nega, di Gravitation, comete, l' materiale costituente, ecc. La prima idea Esteve, è quello di mostrare che l'origine di tutte le cose, ci ha un principio superiore, un host volontà, e che tutte le teorie di fronte a una parete senza questo principio. Libro interessante che include tutte le conoscenze astronomiche con rigore scientifico e dimostrativo. - [FRENCH VERSION FOLLOWS] Edition originale, rare, parue à Avignon dans le même temps. Une planche dépliante. Reliure en plein veau brun marbré glacé d'époque. Dos à nerfs orné de 4 étoiles angulaires et d'un fleruon à chaque caisson. Pièce de titre en maroquin rouge. Bel exemplaire. Estève ne fut pas un scientifique mais un jeune homme doué et talentueux, il reprend ici afin de les discuter l'ensemble des théories astronomiques de son temps : la théorie des Tourbillons, qu'il réfute, de la Gravitation, des comètes, de la formation de la matière, etc. L'idée première d'Estève, c'est de démontrer qu'à l'origine de toute chose, il y a bien un principe supérieur, une volonté organisatrice, et que toutes les théories se heurtent à un mur sans ce principe. Intéressant ouvrage, qui reprend l'ensemble des connaissances astronomiques avec une rigueur scientifique et démonstrative. 1748. 1748. In-12.Carré. Broché. Etat d'usage. Couv. convenable. Dos satisfaisant. Intérieur frais. CARTE ENTOILEE DE ROME ENTIEREMENT DECOREE. ENVIRON 70x50 CM. Amsterdam, Covens et Mortier, 1748. En deux feuilles non jointes pouvant former une carte d'environ 497 x 956 mm. Grande et belle carte figurant l'empire de Russie. Il s'agit de la carte de Guillaume de l'Isle publiée une première fois dans l'Atlas Russicus, ici dans sa version publiée par Covens et Mortier avec un titre en français. Dressée sous le règne de Pierre Ier de Russie, elle est dédiée à sa fille Ielizaveta Petrovna, impératrice de Russie sous le nom d'Elisabeth Ière de Russie. Elle est ornée d'un beau cartouche de titre décoré de l'aigle impérial et de divers blasons de l'empire. Cartouche de dédicace en français et en latin. Très bel exemplaire aux contours aquarellés à l'époque. Formey, Johann Heinrich Samuel, Philosoph und Theologe (1711-1797). 1748. 1 S. auf Doppelblatt. 4to. Mit eh. Adresse (Faltbrief). In französischer Sprache an Prof. Klotz in Halle. - "Bei der Reorganisation der Berliner Akademie als Historiograph herangezogen, wurde [Formey] dort 1748 Sekretär, übernahm 1778 noch das Sekretariatsamt bei der Prinzessin Henriette Marie und war seit 1788 Direktor der Philosophischen Klasse der Akademie. Er hatte den Titel eines preußischen Geheimen Rats. Formey, ein Anhänger der Philosophie Leibniz', repräsentierte die eklektische Richtung der Berliner Akademie; er verfaßte zahlreiche philosophische Schriften, u. a. 'La belle Wolfienne' (6 Bde., 1741-53)" (DBE). - Etwas fleckig und angestaubt und mit Randläsuren. De usu dialectorum orientalium, ac praecipue Arabicae, in Hebraico codice interpretando. Oratio habita Oxonii, in scola linguarum, VII kalend. Martii, MDCCXLVIII. Oxford, Sheldon for Richard Clements, 1748. 1748. 4to. (2), 34 pp. Modern marbled wrappers. All edges red. University oration on the usage of Arabic dialects, held by the noted Arabic scholar Thomas Hunt (1696-1774). Hunt studied at Christ Church, Oxford, and was chaplain to Thomas Parker, 1st Earl of Macclesfield. 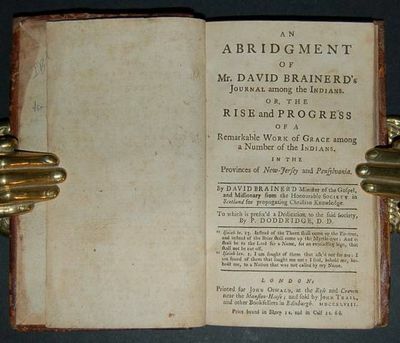 In 1738, he became the fourth Laudian Professor of Arabic, additionally becoming Lord Almoner's Professor of Arabic in 1740 (the year in which he was elected a Fellow of the Royal Society) and Regius Professor of Hebrew in 1747. - Many type specimens in Arabic, as well as some in Greek and Hebrew. Slight browning near beginning and end. A good, wide-margined copy. Schnurrer I, 13. OCLC 1067273. Seder Hosha'not. Kefi minhag ashkenas u-kifrat minhag kehilateinu Amsterdam. Amsterdam, Naphtali Herz Levi, and his son-in-law Kosman 1748 (5509). 16 folia. Contemporary half Vellum, 8° (The sewing is partly loose, late 19th century marbled paper on the contemporary wooden boards. With the ownership signature of E. Dünner, Amsterdam (Descendant of the famous rabbi J.H. Dünner?). The second edition of this very rare Hebrew prayer book, containing prayers to be said at Succoth, according to the Ashkenazic rites and especially for the rites of the Amsterdam community.) Vinograd, Y. (1993). Thesaurus of the Hebrew Book, 1619. Untersuchungen über den Menschen. Leipzig: Weidmanns Erben und Reich, 1777-78. Caravanne du Sultan à la Mecque: Mascarade turque faite à Rome par Messieurs les pensionnaires de l'Académie de France et leurs amis au carnaval de l'année 1748. [Paris, c. 1749]. 1748. Folio (368 x 255 mm). Etched and engraved title and 31 etched plates (numbered 1-30 and one unnumbered). Contemp. French red morocco gilt, arms of Louis-François-Armand de Vignerot du Plessis, duc de Richelieu et de Fronsac on covers (Olivier 407, fer 15), within gilt border of Richelieu's repeated motif of two crossed batons intertwined with an ornamental "R", repeated with coronet within arabesques at the corners, spine gilt in compartments with same motif. First edition; a large-paper copy with Richelieu's arms. Vien's charming series of etchings depicts the costumes worn by members of the French Academy in Rome for a "Turkish masquerade" held during the Carnival celebrations of 1748. This masque is an outstanding example of the influence the orient exerted on western style during the late-Baroque era, showcasing the degree to which cultural transfer was possible and even a matter of enthusiastic adoption by the west but little more than half a century after the siege of Vienna. The elaborate masquerades at the French Academy constituted an important fixture in the Roman calendar. As director of the Academy, Vien organised the masque of 1748, the fabulous costumes of which are presented here, designed, drawn and etched by Vien himself. The costumes in the present suite are "a curious mixture of authentic Turkish habits and European invention" (Blackmer), showing the stock figures of the Turkish court liberally enhanced with elements of Vien's own concoction. The fantastical nature of the creations is a far cry from the sober neo-classical style with which Vien is commonly associated (his pupils included some of the foremost artists of the period, notably Jacques-Louis David). Vien's original drawings and oil paintings for the Mascarade are held by the Musée du Petit Palais; they were exhibited in Berlin in 1989. - Some marginal dampstaining and foxing, binding rebacked retaining most of original spine, corners repaired. This copy commanded $26,000 at Christie's New York in 1997. Provenance: from the library of Louis-François-Armand de Vignerot du Plessis, duc de Richelieu et de Fronsac (1696-1788), a close friend of Louis XV of France, though critical of Madame de Pompadour. Atabey 1288. Lipperheide Sm 10. Colas 3005 (suggesting the plates are un-numbered). Hiler 879. Le Blanc II, 122, 8-39. Cohen/R. 1014f. Brunet V, 1211. Cf. Blackmer 1730. Cf. Gay 3644. Graesse VI/2, 311 (Paris, Bassan et Poignan). Observations nouvelles et extraordinaires, sur la prédiction des crises par le pouls, faites premièrement par le docteur D. Francisco Solano de Luques, Espagnol [...] Enrichies de plusieurs cas nouveaux et de remarques par M. Nihell, M.D. Traduites de l'anglais, par M. Lavirotte. [1748-1774]. 500 x 695 mm. Belle mappemonde dressée sur la projection de Mercator, reflétant bien l'étendue des connaissances acquises jusqu'à cette date, en particulier pour la côte nord-ouest de l'Amérique, les côtes méridionales de l'Australie, à laquelle la Tasmanie est toujours rattachée, et les îles septentrionales du Japon, dont les contours sont relativement bien définis. Datée de 1748, elle montre cependant les découvertes effectuées jusqu'en 1774, en particulier celles du capitaine Cook en Nouvelle-Zélande, dont il fit les relevés des deux îles entre 1769 et 1770, et la Baie de l'Oiseau dans l'archipel des Kerguelen, découverte par le navigateur breton Yves de Kerguelen de Trémarec en 1772, puis explorée par Cook en 1774. La carte montre également les découvertes des Russes dans le Pacifique nord, où l'on voit l'Alaska représenté comme une île appelée Unamak. La carte est ornée d'une rose des vents et d'un cartouche de titre décoré d'objets de marine et des armoiries du dédicataire, le comte de Maurepas, ministre de Louis XV et de Louis XVI, qui organisa de nombreuses expéditions scientifiques. Ingénieur hydrographe français à la tête du Dépôt des cartes et plans de la Marine, Bellin fut chargé de dresser les cartes de toutes les côtes des mers connues. Bel exemplaire replié, petite tache claire dans le cartouche de titre. For Dodd: L. Macfarlane, ?Dodd, Robert (1748-1815)?, in: ODNB (online ed.). Very well-preserved broadsheet commemorating the Battle of Trafalgar (21 October 1805), including an attractive hand-coloured aquatint illustrating the commencement of the battle, where the British fleet led by Admiral Lord Nelson approaches the combines French and Spanish fleets in two columns to break the enemy formation into three. The broadsheet was published a month after the event and besides the aquatint plan, includes Vice-Admiral Collingwood's letters to the Admiralty describing the successful battle and the unfortunate loss of Nelson, and a list of the ships in both fleets. 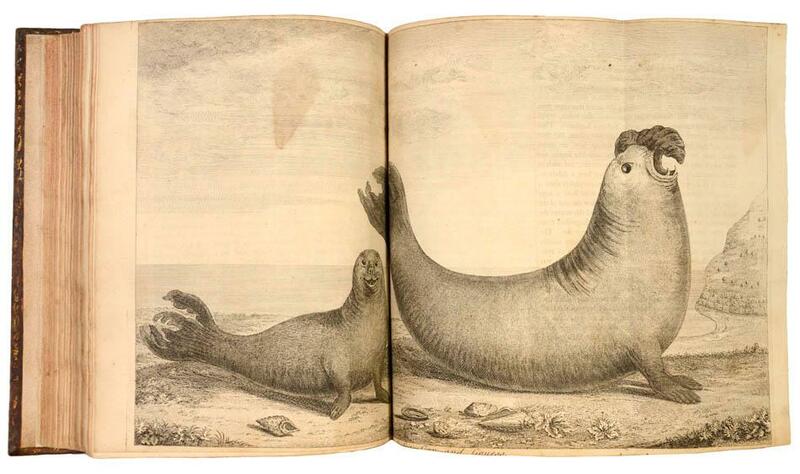 "From about 1783 Dodd himself engraved and published over 100 aquatints of his work. Of interest are his ... sets of engravings of the battles of the Nile ... and Trafalgar. In his engravings as in his paintings his strength lies in the depiction of water and in accuracy of the details of ships' rigging, masts, and sails in different conditions. ... His prolific work is significant as a historical record, along with that of several contemporary marine painters working on the same subjects" (ODNB).In very good condition, with only an old, clean fold. Le Livre jaune contenant Quelques Conversations sur les LOGOMACHIES, c'est-à-dire sur les Disputes de mots, abus des termes, contradictions, double entente, faux sens, que l'on employe dans les Discours, & dans les Ecrits. A Bâle, 1748, volume de 125x205 mm environ, (1) f., 1 page de titre, (12) ff. (épître, avertissement), 184 pages, (1) f., demi basane à coins fauve, dos de motifs romantiques à froid, tranches finement mouchetées. Coins émoussés, rousseurs importantes en fin de volume, des signatures anciennes, sinon bon état. Gilles Augustin Bazin, 1681 à Paris - 1754 à Strasbourg (Bas-Rhin). Médecin et naturaliste. Bibliothécaire du Cardinal de Rohan. Avocat au Parlement, Contrôleur au grenier à sel de Paris. Merci de nous contacter à l'avance si vous souhaitez consulter une référence au sein de notre librairie. Colección de las principales suertes de una corrida de toros. Suite de 12 gravures de tauromachie et de corrida du début XIXe siècle, chaque gravure est montée sous passe-partout et encadrée. Cette série de 12 gravures, intituléeCollection des principales phases d'une course de taureau,narre tous les moments de la course depuis la sortie du taureau jusqu'à l'enlèvement par les mules de sa dépouille.Taille des gravures : environ 8 x 14 cm. Quelques rousseurs.Cette suite de 12 planches fait date dans l'histoire de la tauromachie, elle a notamment inspiré Francisco Goya pour sa fameuse Tauromachia. Elle est due au talent du célèbre peintre espagnol Antonio Carnicero Mancio (1748-1814).Très rare.